Come and See How a Healthy Soil Supports A Plethora of Plants! 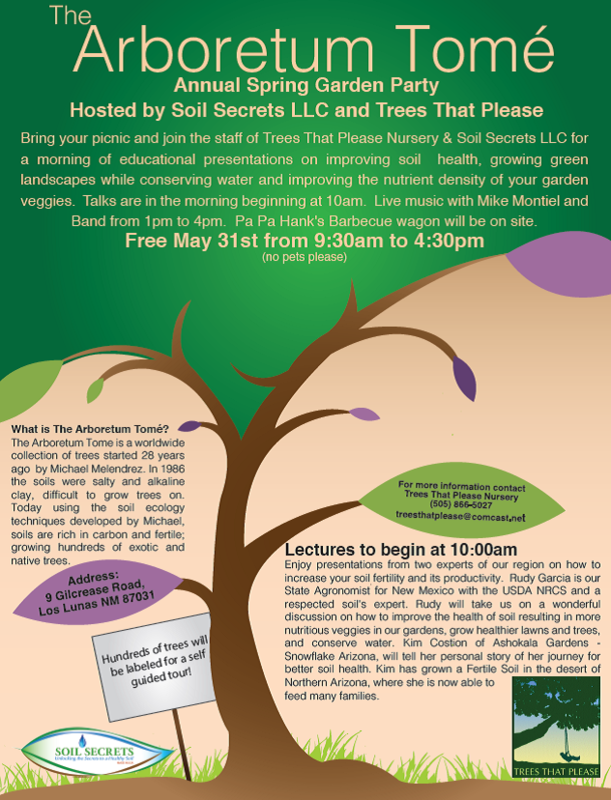 Come and see how a Healthy Soil, developed by the exclusive use of Soil Secrets Products, can support a great abundance and variety of shrubs and trees! Arboretum Tomé Annual Open House and Garden Party. and a healthier garden or landscape”. “A growers experience: building a healthy soil to increase garden health and productivity”. 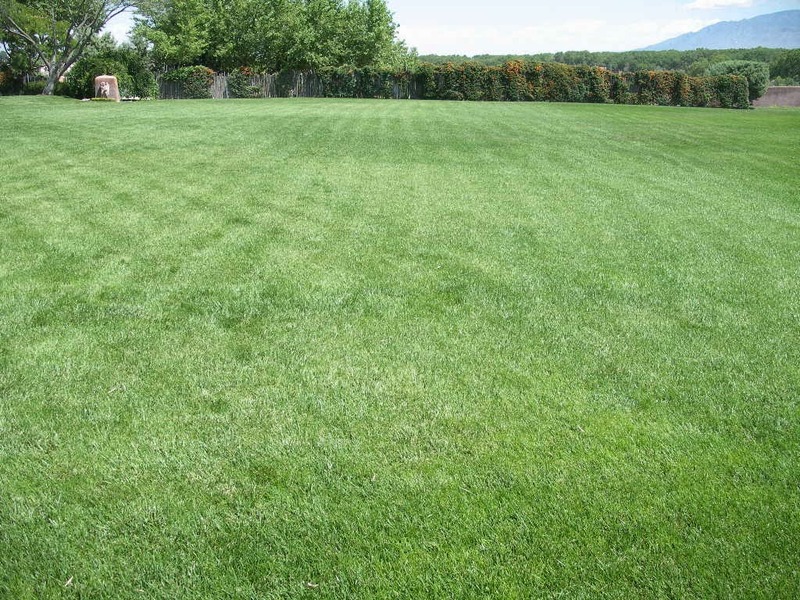 There are some people in the arid Albuquerque market and other cities of the Southwest that still prefer to have green lawns that you can walk barefoot on. 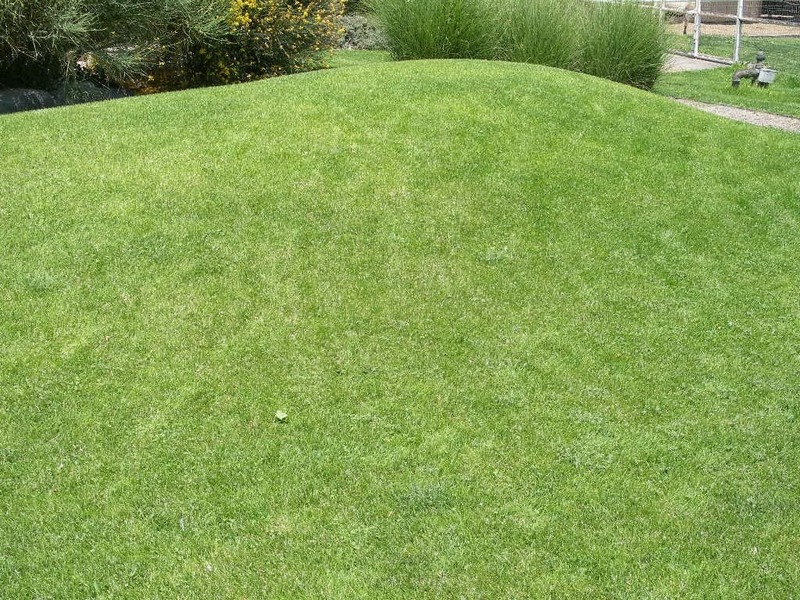 Historically the standard practice for keeping grass green was to use high analysis fertilizers. Products with names like Miracle Grow, SoilTex, urea, etc., which were dumped on landscapes like crazy and have been the tradition all across the country when it came to growing turf and trees. This article will describe the problem with using high analysis fertilizers, how they damage the soil ecology and I'll describe how Soil Secrets has a better idea that results in the gradual improvement in the soil health while also reducing the amount of water needed to keep our urban landscapes green. 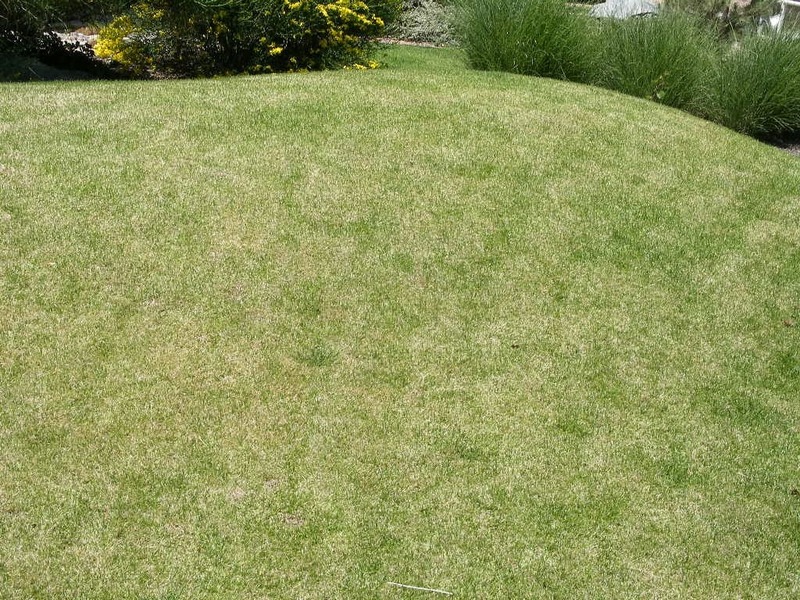 While fertilizers do what they claim, which is provide Nitrogen, Phosphorous Potassium and maybe a half a dozen other elements, and will make your lawn green as promised, they do so at a cost to the health of the soil. This results in a multitude of other problems which I'll address here. First is the issue of water. The poorer condition your soils bio-geo-chemical process (Soil Ecology) are in, the poorer the soil structure and the poorer the root system of the plant. Thus, resulting in the plant, the crop, the turf, the trees and shrubs needing extra water. This is true for agriculture and it’s true for urban horticulture. The first two pictures I've attached show a typical situation in Albuquerque where the home owner is trying to compensate for soil that is not healthy by providing the landscape with extra water, yet still we can see a dead/dying spot in the top photo. Notice the dead spot in the background. This is caused by disease pressure and the roots rotting caused by poor drainage, anaerobic conditions (no air) and poor soil structure. What's happening is that the turf is declining regardless of fertilizer and water being applied? While Soil Ecology is complex, we can accurately determine that the grass roots on this site are shallow and vulnerable to moisture availability. Why? Because the site has poor soil structure resulting in anaerobic soils (no oxygen), resulting in poor drainage and poor root depth since roots can only live where there's plentiful oxygen. The issue is poor soil structure caused by a system of management that does not encourage, prime, or support the process of soil ecology. In other words, no high analysis fertilizer product has every built a healthier soil and since plants must have a healthy soil in order to grow a healthy immune system and a strong structure, we can accurately say that fertilizers can't grow a healthy plant. So back to the attached pictures, where the homeowner is watering like crazy, trying to save the turf, we also begin to see turf disease issues. Like humans, a healthy plant has a capable immune system while an unhealthy plant is vulnerable to disease! The image below, taken just a few weeks after the photo above, shows the turf recovering and the brown spot disappearing. This site had been treated with TerraPro, which fortified the soil with Humic Molecules (erroneously called Humic Acids) that are powerful "bio-organic matrixes" essential for a healthy and productive soil. TerraPro is a novel material of the industry that cannot be duplicated with other products on the market and was developed from information obtained from molecular research performed at both Los Alamos National Laboratory and Sandia National Laboratory, which provided molecular information as deliverables to Soil Secrets under a Commercial Proprietary Information Contract! On a molecular atomic scale they are bio-identical to what is found in Nature's best soil environment and they contain the proper supramolecular (quantum physics) characteristics. In the Journal of Chemical Education, research published by two Bio Chemical Engineers from the University of Arizona have stated that these carbon rich bio-organic matrixes that we generically call Humic Acids, are essential for a healthy and productive soil. So in the case of the images provided in this paper we simply fortified the soil with that chemistry of Nature, plus we switch the source of nitrogen from using a high analysis type fertilizer to using a protein based product called Protein Crumblies, also a novel product of Soil Secrets. Why protein? Because Soil Ecology depends on the life and death cycling of animals in the soil, including the smallest creature the bacteria up to larger animals such as earthworms, all of which bodies contain protein. As that protein decays, the nitrogen that's part of the molecular structure of the protein slowly becomes available for other soil microbes to graze on, with some of the nitrogen becoming available for the vegetation. This process is called "the soil food web", also essential for a healthy and sustainable soil ecology. I've been writing and talking about the soil food web since 1974, when I first wrote a paper on that topic for a college class. Essentially what Soil Secrets is accomplishing on this site is a process of "bio mimicry" where we are adding to this soil what is needed to prime it back into a functional productive soil. It demonstrates that we can grow an attractive turf, use less water, have less disease pressure and be more responsible with our environment when we use Soil Secrets Bio-Mimicry processes versus using fertilizer and watering like crazy. Need more convincing? Here's a unsolicited email from Craig Thames, Midland Texas Independent Schools, Grounds Forman. The use of TerraPro and Protein Crumblies dates back to the late 80's at my Trees That Please Nursery in Los Lunas, New Mexico. The names have changed and the products were crude in comparison to what we have today, but I developed them for the production of our trees, shrubs and other plants, where I was attempting to mimic Nature for the objective of being on the journey to better soil health. Today Trees That Please production still uses TerraPro and Protein Crumblies, in production of our plant materials and we retail them to our clients. They are also available to other nurseries/garden centers and they are used Nation wide in agriculture, mine reclamation, State Highway re-vegetation, city parks and sports fields. Some of the largest farms in the United States are now using TerraPro and other products of Soil Secrets, which has evolved into a national company. It Works! 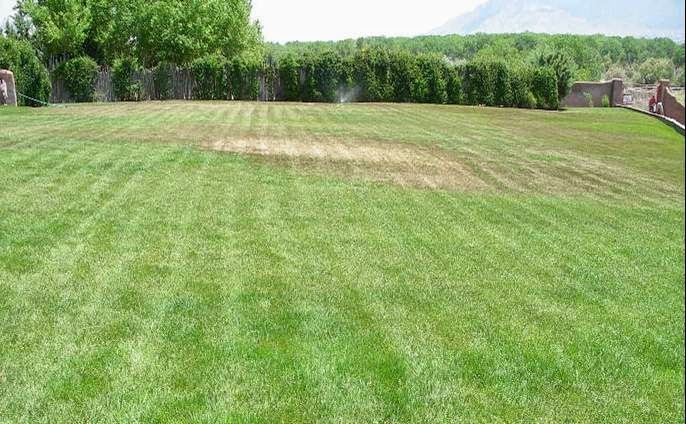 Here's another site in Albuquerque, where the soil health was compromised by the use of high analysis fertilizers. The image below was taken a few weeks after the above, with the bottom image benefiting from TerraPro and Protein Crumblies treatment. Don't forget that on May 31st, we shall be opening our arboretum collection to the public for our annual Spring Fling in the Trees. It's free and its open to the public. Mark your calendar and if you wish to attend, contact us for directions and more details.